Women of Hope, Inc., a 501 (C) 3 nonprofit, faith-based organization understands the troublesome dilemma of many women in transition from military service, domestic violence, incarceration and other type trauma. Provide safe housing and supportive services to homeless women and children in order to equip and empower them towards healthy life styles and self-sufficiency. A continuum of care that empowers women towards self-sufficiency. Services include wellness programs, peer to peer mentoring, job search services, counseling and support groups, various employment-related programs and assisting in identifying permanent housing. 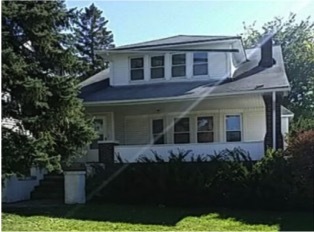 Ariya’s House, a 4 bedroom house acquired from the Cuyahoga County Land Bank, provides safe supportive housing for up to five homeless women. They can reside in the house for up to 2 years while they receive professional assistance in developing a “reintegration plan” that will allow them to have a roadmap to successfully re-enter society. Our goal is to provide an environment that equips the women with hope, encouragement and tools that will empower them to live a healthy life-style. 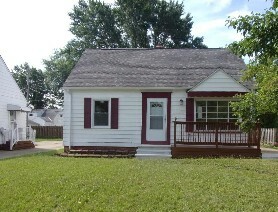 Shady Oak House is a 3-bedroom home designated for a family at risk of homelessness. This house is located in a nice, residential area with commercial businesses, public transportation, library and a variety of resources. Residents participate in our Firm Foundations Program, which begins with goal planning. But we can't keep moving forward without your help. Visit us often to see how your support keeps us moving forward.